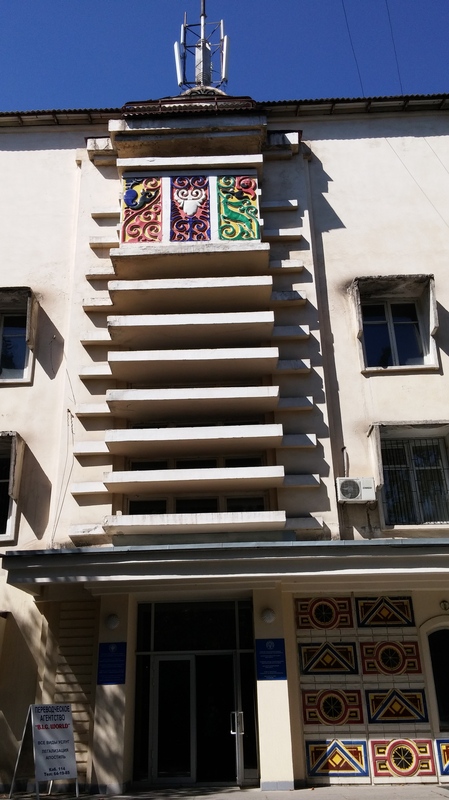 My love affair with Soviet architecture continues whilst here in Bishkek, capital of Kyrgyzstan. 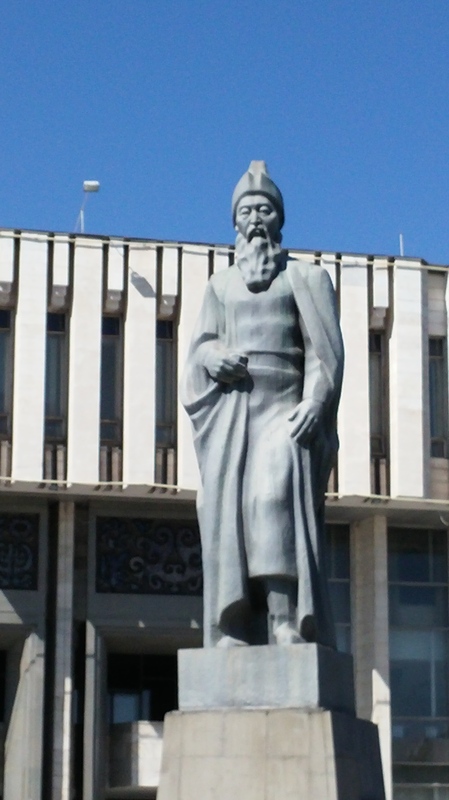 Bishkek is often held up as a model of Soviet planning with its American-esque grid road system, making it an incredibly easy city to navigate. I’m told the grids were built especially to assist in case of an emergency requiring mass evacuation. Philharmonic Hall, which can seat more than 1,000 guests. 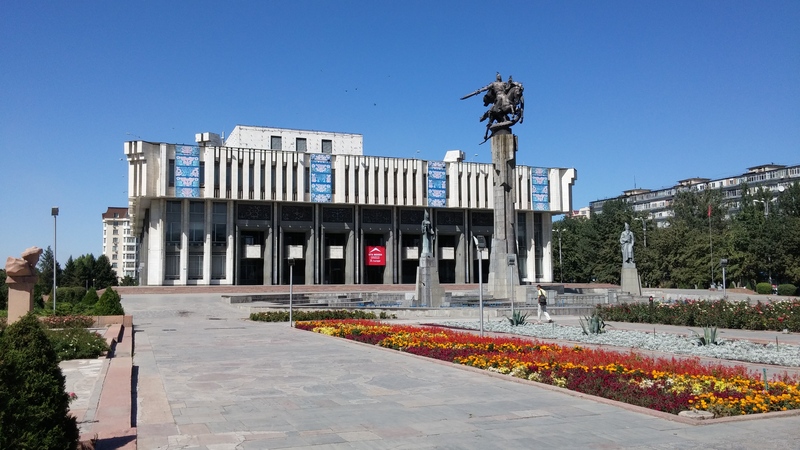 A statue of legendary Kyrgyz hero Manas sitting astride his horse Ak-Kul battling a dragon stands in front of the venue, which was opened in 1980. Click for a good history of the Hall [ru]. 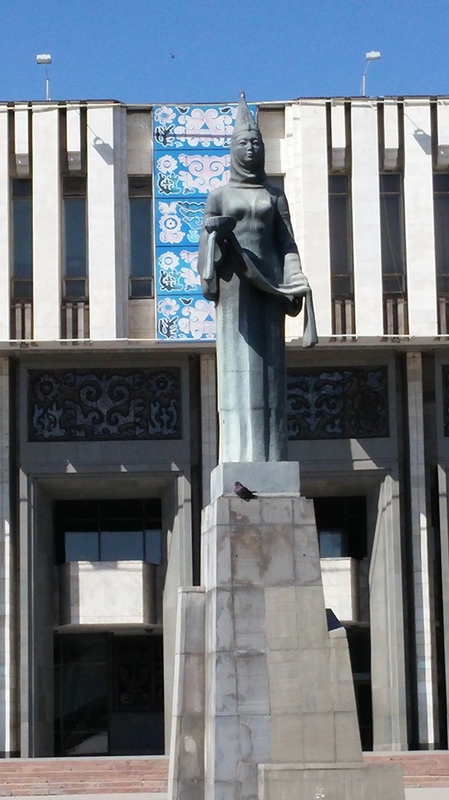 Close up of Manas’ wife Kanykei in front of Philharmonic Hall. History has it that she was from Tajikistan [ru], although borders then weren’t delineated as they are today. 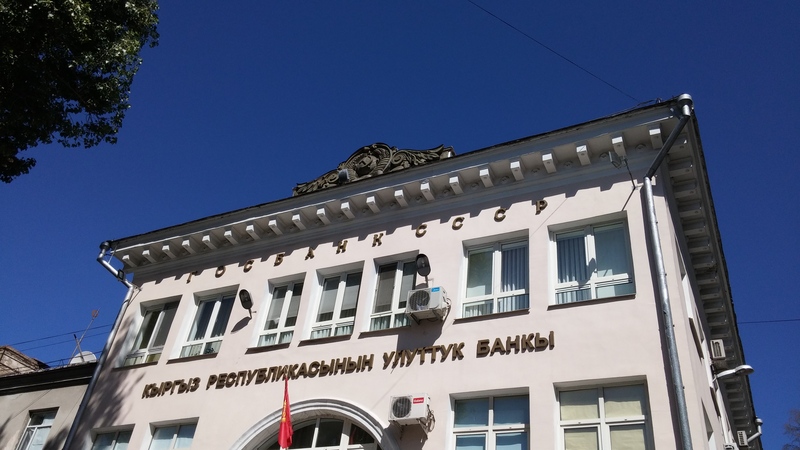 Formerly the USSR State Bank, now the Bank of the Kyrgyz Republic. 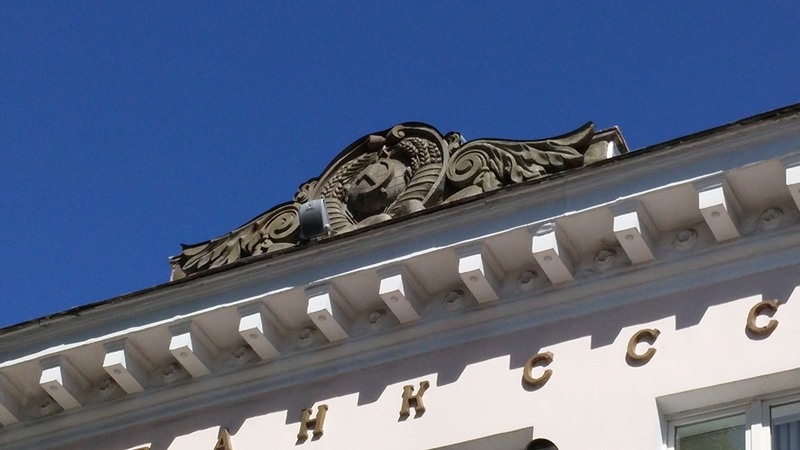 But with its old name and Soviet frontispiece remain. 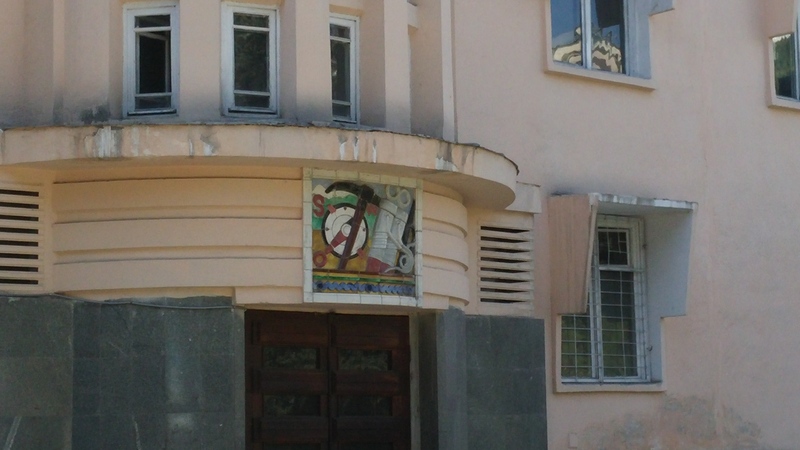 National Academy of Sciences of the Kyrgyz Republic. 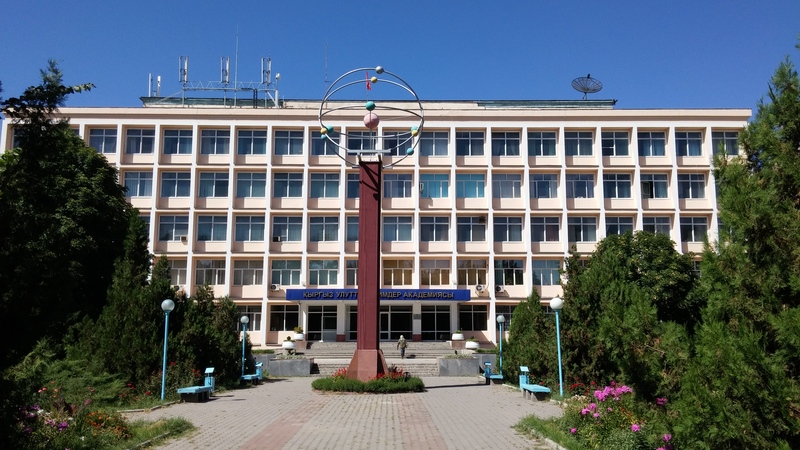 Founded in the 1920s, read a fascinating chronology of scientific discovery in Kyrgyzstan on the Academy of Science website [en]. 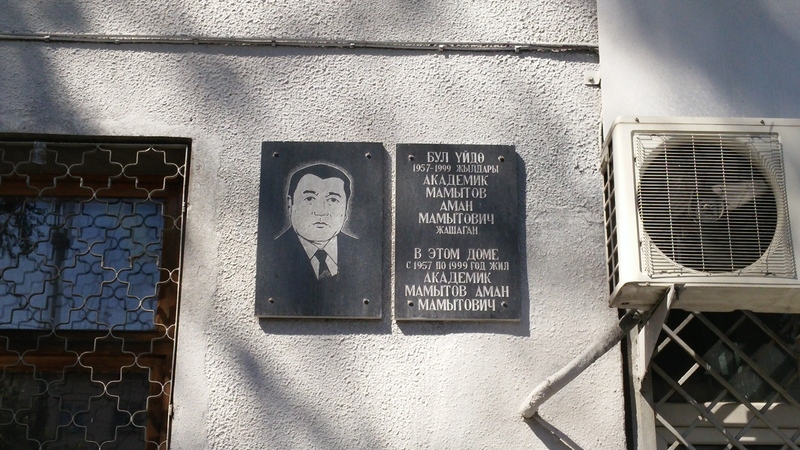 Plaque showing that scientist Aman Mamytov lived in this building from 1957-1999 [text in Kyrgyz and Russian]. Mamytov is best known for classifying soils around the Tian Shan mountain range.